Red Wheel ∕ Weiser Online Bookstore | The Andean Codex: Initiations and Adventures among the Peruvian Shamans by J.E. Williams, O.M.D. For more than thirty years Dr. J. E. Williams has risked his health and personal safety to journey among shamans in Peru, the place he calls the mystical and spiritual center of our times. In its rain forests, mountains, and environmentally attuned indigenous population, Peru's mystical landscape fosters inner discovery. 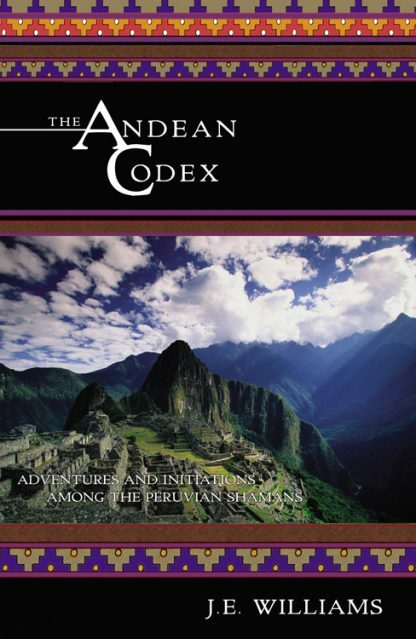 The Andean Codex guides the reader step by step through journeys to Andean sacred places like Machu Picchu, Cuzco, and Moray, and in the process uncovers the esoteric meaning of these ruins. Williams recounts his initiation with Peruvian shamans, including shamanic ceremonies he performed at Machu Picchu and his experiences using the mind-expanding, heart-opening ayahuasca and the sacred coca plant. Throughout these encounters, Williams weaves in practical advice that brings the wisdom of Andean shamans to life. His unforgettable account of their prayers, practices, and ceremonies offers a rare opportunity to see the world through the eyes of a shaman and experience the Andean sacred way. In more than twenty-five years of clinical practice with over 100,000 patients, Dr. Williams has earned a well-deserved reputation for his work in integrative medicine. He has served as a professional advisor to national health companies, medical groups, and hospitals including world famous Scripps Health. In addition to his many books, Dr. Williams is an internationally published author of numerous scientific papers, articles on ethnography and biodiversity, and bilingual poetry. His ethnobotanical research has taken him among more than twenty Indian tribes in North and South America in the search for the soul of healing. He spends his time between Peru and Sarasota, Florida.